Interested in studying the Autism Spectrum from your own home? Here are three free options from reputable institutions. These are an attractive suite of nine free modules aimed at parents and those working with school-age children and young people. They are well-structured with learning outcomes, quizzes, audio, video and printable handouts. The modules are delivered through a Moodle VLE (Virtual Learning Environment) and are available in both English and French. The only aspect I’d question is the simple requirement to enrol, which I hope doesn’t deter any users from these excellent resources. I’d recommend that beginners take one of these Geneva Centre modules prior to embarking on either of the following two modules from the OU or MIT. This 20-hour module is also delivered through a Moodle VLE platform, but is pitched at intermediate level – equivelent to the second year of a Bachelors degree. It is well-structured with learning outcomes and seven activities, comprising mostly text and diagrams rather than audio or video. The whole module can be downloaded for offline use, and the Open University’s LabSpace allows you to adapt the module to your particular requirements and then share it with others. This is MIT’s eight week long module as delivered in Spring 2011 at graduate/masters level. As indicated by the title, it explores the use of state-of-the-art technologies alongside Autism. In contrast to the two Moodle VLE-based modules above, this module was designed for classroom delivery and participation. It comprises a single two-hour lecture video, syllabus and readings, but there is no interaction if you’re studying alone as there are no quizzes or tests. All the module materials can all be downloaded for offline use. 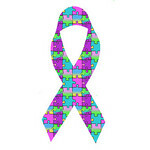 This entry was posted in Course, Creative Commons and tagged autism, disabilities. Bookmark the permalink.